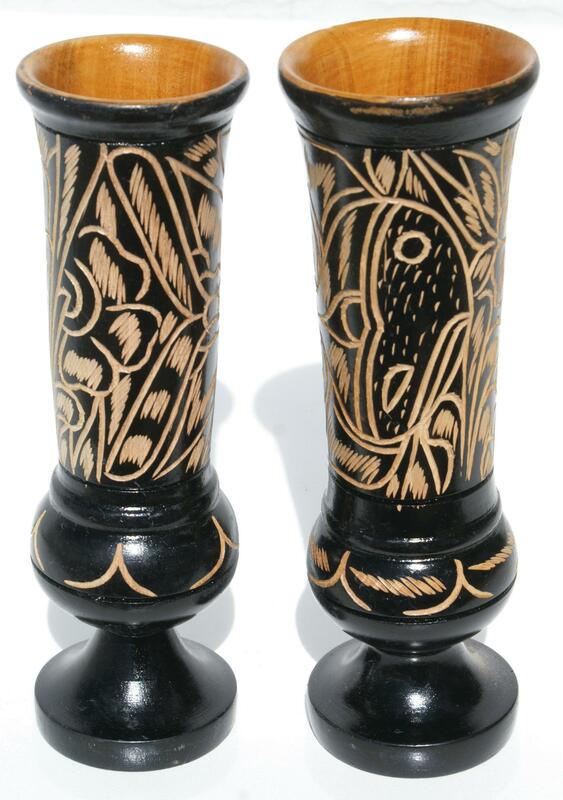 Hand carved black wooden vase with traditional decor. Wooden handicrafts of Haiti. Size 8.5x26 cm.